Marie Madeleine Pioche de la Vergne was born and raised in Paris, to members of the minor nobility. Her father died when Marie was 15, and in the following year her mother married a member of the Sevigne family, which brought Marie a connection to Madame de Sevigne, who would become her closest friend. Marie Madeleine became an attendant to the queen, Anne of Austria, and began the study of classical literature and modern languages. At 20, Marie Madeleine was married to Francois Motier, Comte de La Fayette, of Auvergne, a widower 18 years older; the couple had two sons. 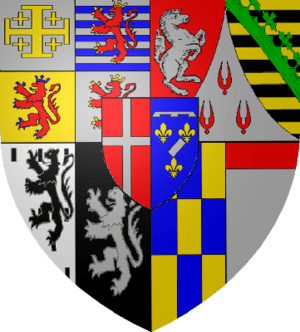 For about five years, Madame de la Fayette lived part of the time in Auvergne and part in Paris but by the end of 1660 she was already living permanently in Paris, while her husband remained in Auvergne. There was no formal separation – her husband even visited occasionally and signed papers allowing her to control her own finances. However, she began the friendship with the Duc de la Rochefoucauld, which would last until his death. All was done so discreetly that there was no gossip, even in a small society that relished romantic rumours so much. During the 1670’s La Fayette and La Rouchefoucauld, both in failing health, appear to have worked together on La Princesse de Clèves The novel was published anonymously in 1678, and although La Fayette denied authorship for both herself and La Rouchefoucauld, their closest friends believed it to have been their collaborative effort. An immense success, the work is often taken to be the first true French novel and the first attempt at analyzing psychological nature of the main character (and other characters as well). Mademoiselle de Chartres is a high-born, beautiful but a bit sheltered heiress, aged 15. Her mother has brought her to the court of Henri II (a disguised version of the court of Louis XIV) to seek a husband with good financial and social prospects. Old jealousies against a kinsman spark intrigues against the young girl and, as a result, the best marriage candidates suddenly withdraw. Poor Mademoiselle and her maman are devastated – the girl decides to accept a middling suitor, the Prince de Clèves. He at least is being smitten with her. Mademoiselle doesn’t love him, however. After her marriage, she meets the dashing Duc de Nemours, described as “nature’s masterpiece” and “the most handsome and the most nobly built man in the world” and the two fall in love at first sight during a dance. Still they do nothing to pursue their affections, limiting their contact, comme il fault, to an occasional visit in the now-Princess of Clèves’s salon. It doesn’t mean their passion is lukewarm, quite the contrary in fact. The Duc becomes involved in a scandal at court. It leads the Princess to believe that he has been unfaithful in his affections. A letter from a spurned mistress to her paramour is discovered in the dressing room at one of the estates. The letter is actually to the Princess’ uncle, the Vidame de Chartres, who has also become entangled in a relationship with the Queen. The Vidame begs the Duc de Nemours to claim ownership of the letter, which ends up in the Princess’ possession. The Duc has to produce documents from the Vidame to convince the Princess that his heart has been true – he manages to do it, finally receiving the proof that the lady loves him back. It seems that the happiness is just a few days away. Mme de Clèves indeed feels more and more inclined, against her strict code of honour, to cheat on her husband with the Duc. 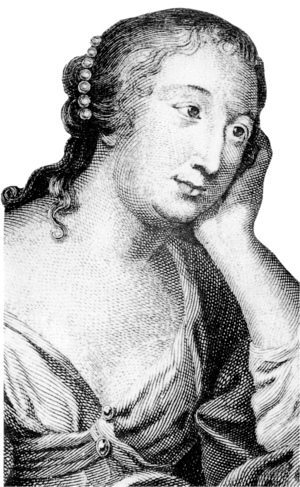 In her bewildered attempt to free herself from M. de Nemours’ hypnotic spell, she even does the unthinkable – she confesses to her husband that she has fallen in love with another man (without at first naming M. de Nemours, but the husband eventually identified him anyway). 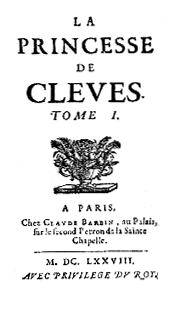 M. de Clèves, falls ill and later dies of jealousy (or rather of a broken heart as he truly loved his wife). On his deathbed, he blames the Duc for his illness and begs his wife not to marry him. The Princess is now footloose and fancy free (at least officially) as a young widow but deep down she remains torn between her duty and her love. The Duc pursues her more openly now as she is “up for grabs” again. What will she do – follow the advice of her dearly loved (but now dead) mother and the plea of her late husband or pursue her own passion? I decided not to spoil you this time (although it is a classic novel so you can find the end of the story without any problems anywhere). I must admit this novel recreates the era of Henry II with remarkable precision – every historical romance writer should follow this example. Nearly every character – except the heroine – is a historical figure. Events and intrigues are unfold with great faithfulness to documentary record. I also loved the intricacy of the story, the attention to detail, and how relevant the plot is to today’s woman struggling to balance duty and personal identity. Although our Princess (we never get to know her name – too close to home?) neither wields a sword nor fights monsters, kicking their backsides now and then, her inner struggle is noneless epic and she certainly doesn’t lack backbone. In fact sometimes I wished she had a bit less of that backbone – for her own good. 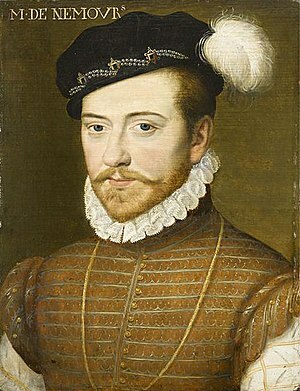 Apart from that I was especially pleased how a magnificent contrast between the shallow, self-seeking motives of the majority of the royal circle and the unselfish delicacy of the lovers was presented – truly some contemporary romance writers would need to take a leaf out of Mme de la Fayette’s book. Finally, I liked the Henri II & Diane de Poitiers romance very much, some of which plays in the background of the Princess of Cleves’ story. Well, to put it shortly if you dislike unhappy endings don’t read this one. The ending wasn’t illogical or silly, quite the contrary, but a bit over the top for any contemporary reader – the heroine was so driven by her virtue and proper behavior that she appeared to me simply foolish from time to time. I also must mention that the book starts out in a rather confusing way, describing too many people and their relationships and alliances at once. If you like the historical background you will find it still ok; if you don’t, you can always skip a paragraph or two. One of these rare romance novels which stay with you after you have finished reading and make you think. I really enjoyed this book, and I’m sure I’ll read it again one day. This entry was posted in book review, classic and tagged Marie de la Fayette. Bookmark the permalink. What a handsome devil and a fascinating story. I think I should pick this up for some summer reading.The necessity to keep feelings in check probably heightened the urst of the relationship making it that much more intense. Do pick it up The Red Witch – I think you might like it, especially in the summer! Their relationship was very intense indeed. Lol I don't want to spoil anybody but no, there's no HEA in this one. And I liked the fact that the husband was a positive character, very sympathetic and indulgent. Thanks for pointing to this one–I enjoy old literature as much as new 🙂 And some of these archaic-sounding stories are really enjoyable when you dive into them (though, yes, extolling virtue often trumps happy ending…). Thanks Rowenna for commenting – these archaic stories are the shoulders of giants the contemporary readers are standing on. 😉 Always worth discovering anyway.